Clearly, they had never met a bear…. He was big for a dog…. Because he was so filled with love. 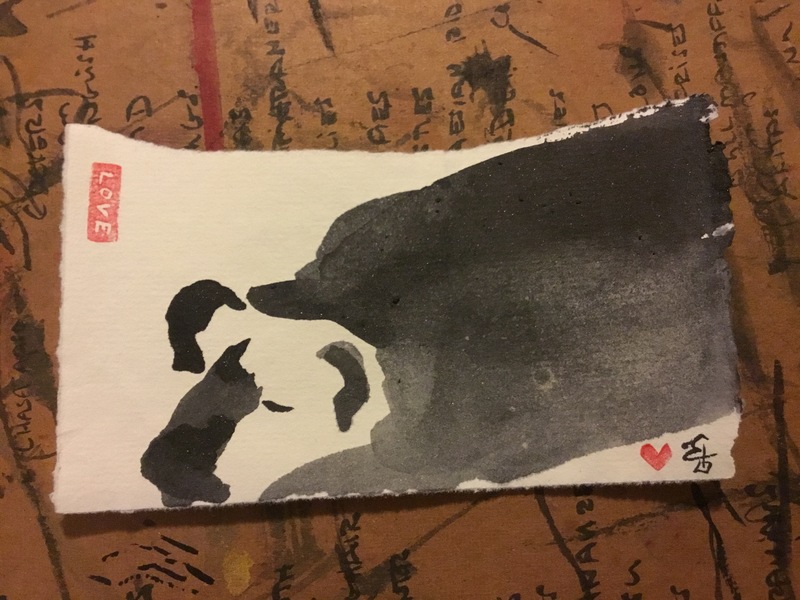 This entry was posted in The Now and tagged animal assisted chaplaincy, barking, black dog, black labs, dog training, Elizabeth Teal., handmade paper, ink painting, labrador, Liz Teal, pet therapy, poetry, sumi-e. Bookmark the permalink.